When Cyclone Sidr struck the village of Angul Kata in Barguna District along the banks of the River Paira, residents had just seconds to flee. “It all happened so fast. I grabbed my children and ran,” one woman said outside the collapsed remains of her tin shack. “The warning came too late. We barely got out alive,” another chimed in, recalling in vivid detail the cyclone’s devastating force as it unleashed itself on the largely agricultural community of 2,000 inhabitants - one of many badly affected across southwestern Bangladesh on 15 November 2007. Over 3,000 people were killed and millions more made homeless by the storm - now described as the most powerful cyclone to have ravaged the country in over 15 years. But despite the odds, most residents survived the disaster unscathed, a fact largely credited to the village’s sole cyclone shelter - a simple three-storey building which also serves as the village primary school and accommodates 250 students. Within 30 minutes of the cyclone striking, over 1,500 people had clambered up the central stairs of the school, which sits upon eight reinforced concrete pillars - to escape the five-metre-high tidal surge that followed. Seconds later, residents quickly closed its iron shutters to the 220kph winds that raged outside. Had the shelter not existed, the death toll could easily have been in the hundreds, experts say. Such shelters provide a vital first line of defence against cyclones, alongside early warning preparedness, megaphones, and Bangladesh’s intricate polder network which protects much of the country’s coastal belt and behind which the vast majority of the population lives. After Cyclone Bhola in 1970, which reportedly claimed over half a million lives, Bangladesh moved quickly to build shelters throughout the region, recognising their life-saving potential, particularly in densely populated coastal areas. 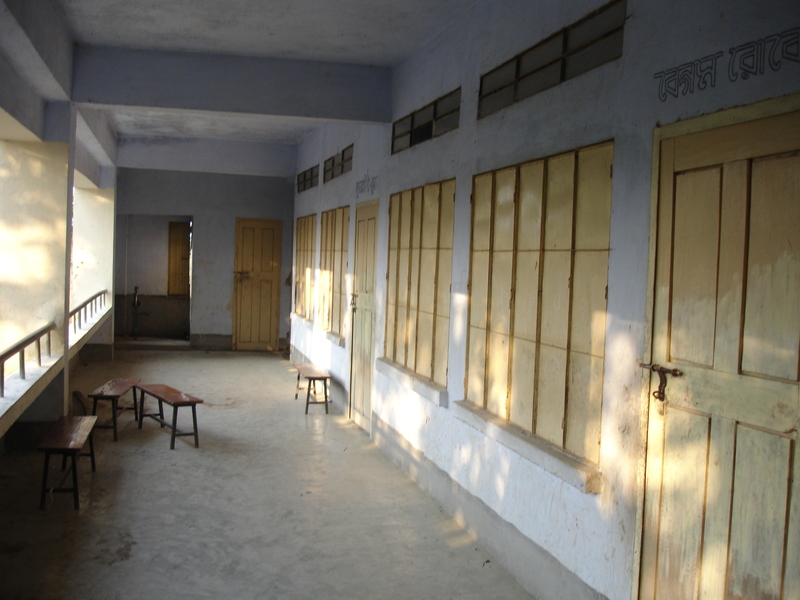 Many of the country's cyclone shelters also serve as primary schools along Bangladesh's coastal belt. Elevated on pillars, the shelters are designed to withstand major tidal surges that accompany such storms. However, many of the 1,800 cyclone shelters - some of which also accommodate schools - were built in the 1970s and have been neglected and fallen into disrepair; others have been abandoned altogether. 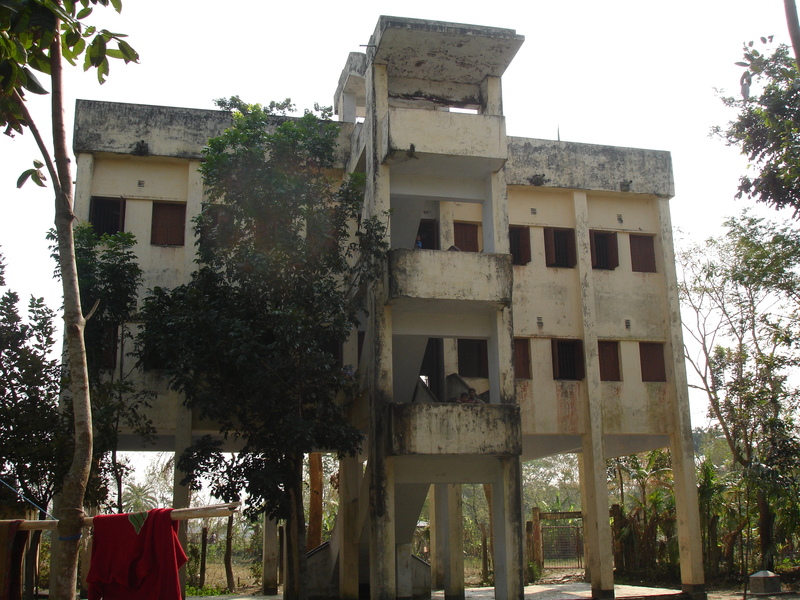 The Angul Kata shelter, built in 2004, has a leaking roof and residents are in a quandary over what to do. “We need more cyclone shelters,” 72-year-old farmer Mohamad Azharullah Howlader told IRIN in Angul Kata, noting that the nearest shelter to theirs was over 8km away. Local officials, too, have acknowledged this: “The number of shelters is insufficient,” Moshiur Alam, deputy commissioner of Bangladesh’s adjacent cyclone-affected Patuakhali District, told IRIN. The district currently had 220 cyclone shelters, but at least 200 more were needed, he said, adding that there was only limited funding to maintain those already in existence. It appears these calls are now being heard: Earlier this month, the government announced plans to build 2,000 additional shelters in 2008. “Some 2,000 new cyclone shelters will be built in 15 low-lying coastal districts, which had been trampled by the 15 November cyclone," Food and Disaster Management Secretary Mohammad Ayub Miah, was quoted as saying. With an increasing population and around 800 people per square kilometre, cyclone-prone Bangladesh may need to build more.